Perfect for a meat-free lunchbox, ready in minutes and packed with vegetable proteins and nutrients. Don’t be put off by the long list of ingredients. Most of them are only spices that you can keep in your cupboard and use again to give flavor to your dishes. The use of spices and herbs is a great tool for a healthy diet, as they allow you to add flavor, without piling on the calories. Sea salt ( optional)Place the spices in a cup, add some boiling water from the kettle, and use this water to prepare the cous-cous according to the packet instructions. While you waiting for the cous-cous to be ready, wash and chopped all the vegetables, place then in a bowl and add the drained chickpeas. 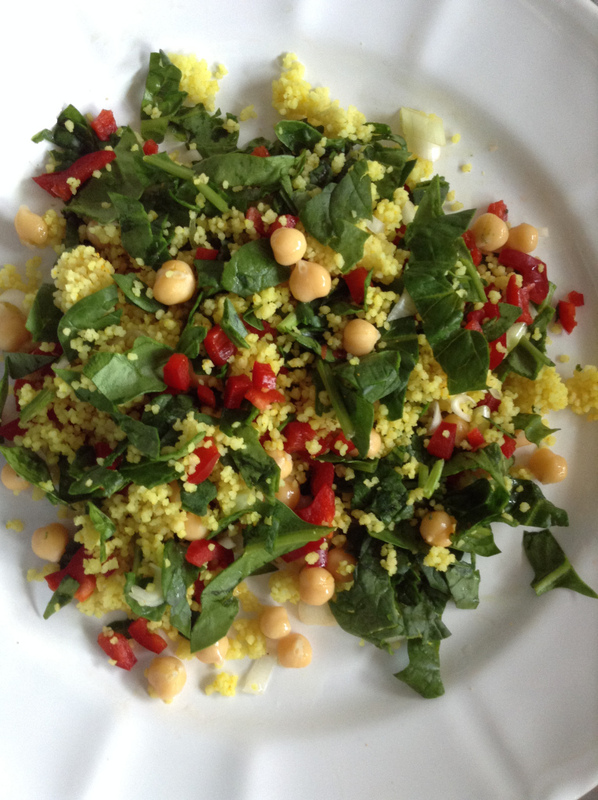 Add the olive oil and lemon juice, stir well and add a 2-3 tablespoon of the cous-cous, mix and serve!